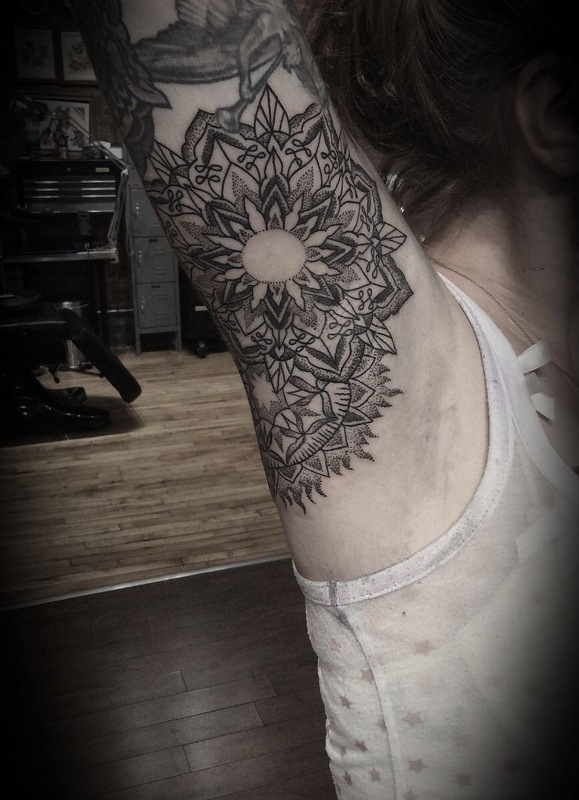 First layout on this mandala arm pit with more to come in a few weeks. Vanessa you are solid!! Great sitting and the final session will be a breeze.